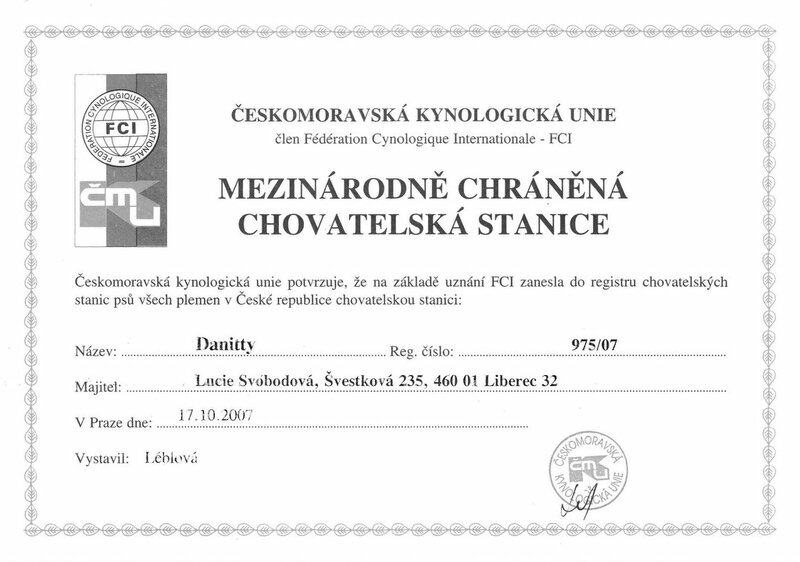 DANITTY kennel was registered on 17.10.2007 under the registration number 975/07. Hungarian Vizsla has been part of our life since 2002. In 2010 our first litter was born. Until 2015 we have bred 8 litters of Hungarian Vizsla and we are happy to say that a lot of show champions and versatile hunting Vizslas live with us or were born in our kennel. Our aim is to breed trully Dual Purpose Vizsla. All our dogs are being shown and worked and we use our dogs in practical hunting. We aim towards versatile dogs, able to work in the field, water and woods, as well as to be presented in the show ring, and of course bringing a lot of joy to their families. All our dogs are HD tested. We have brought top foreign blood to the Czech Republic, where our kennel is located. We are also participating in all the events held by the Wirehaired and Vizla Club od the Czech Republic, who we are members of. I (Lucie Svobodová, breeder) am also member of the club board, working in the position of Secretary. I am a qualified All-Round judge for pointing dogs and I am a candidate for show judge for the Hungarian Vizsla Shorthaired. I also help with training of all pointing dogs' breeds and I participate in the organization of events for hunting dogs (shows, tests). In case that you would like to learn more about us and our kennel, do not hesitate to contact us via e-mail or Facebook!